Who loves all day breakfast? I do! Who doesn't, right! 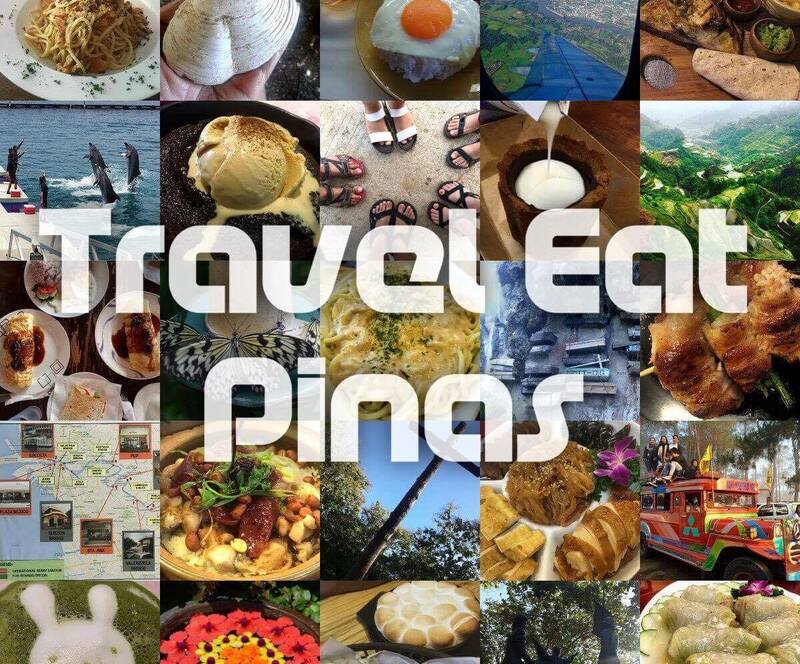 I love breakfast meals from cereals to pancakes, sunny side up eggs, waffles and all time Filipino breakfast dishes like tapa, tocino, and longanisa. For me, all breakfast meals are comfort food and that is why whenever I travel, I always look for restaurants that serve all day breakfast. Luckily, when I went to Angeles City, Pampanga for Pinoy Bloggers Getaway, I was introduced to the only restaurant in the city that serves all day breakfast- Sunrise Surprise. Sunrise Surprise is located at Block 39 Lot 6 and 7 Filipino American Friendship Highway, Angeles City, Pampanga. If you have a car, a trip from Balibago, Angeles City, Pampanga going to Sunrise Surprise will only take you 19 to 20 minutes. If you plan to commute from Balibago you can ride a jeepney going to C.Point Holy Highway and alight on Nepo Mall. From the Mall, you can ride a tricycle going to Sunrise Surprise. 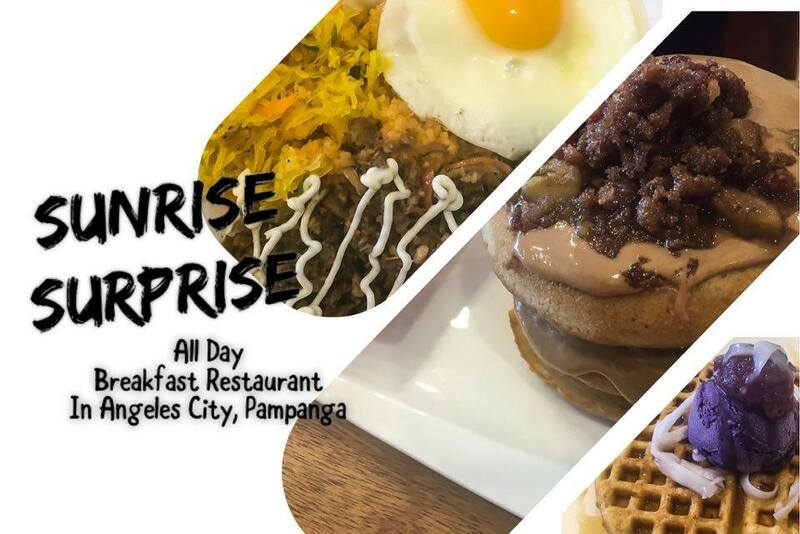 Sunrise Surprise is the only restaurant in Angeles Pampanga that serve all day breakfast. It has a fresh, relaxing and vibrant ambiance that is usually felt during dawn or when you wake up in the morning. Sunrise Surprise serves rice bowl, porridge, waffle, pancakes, omelet and scrambled egg, cakes, and refreshments. 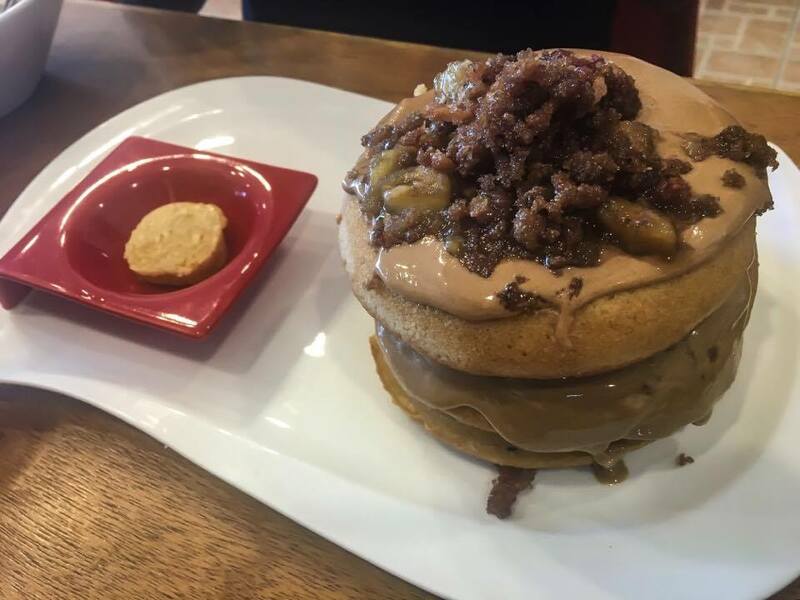 During our visit at Sunrise Surprise I tried their Pork Sisig Aligue Sauce rice bowl, Ube Macapuno Waffle, I'm a Sinner and Peanut Butter Nutella. When in Angeles Pampanga eating Sisig is a must. Sisig started in Pampanga and delectable varieties of it are found in the latter. 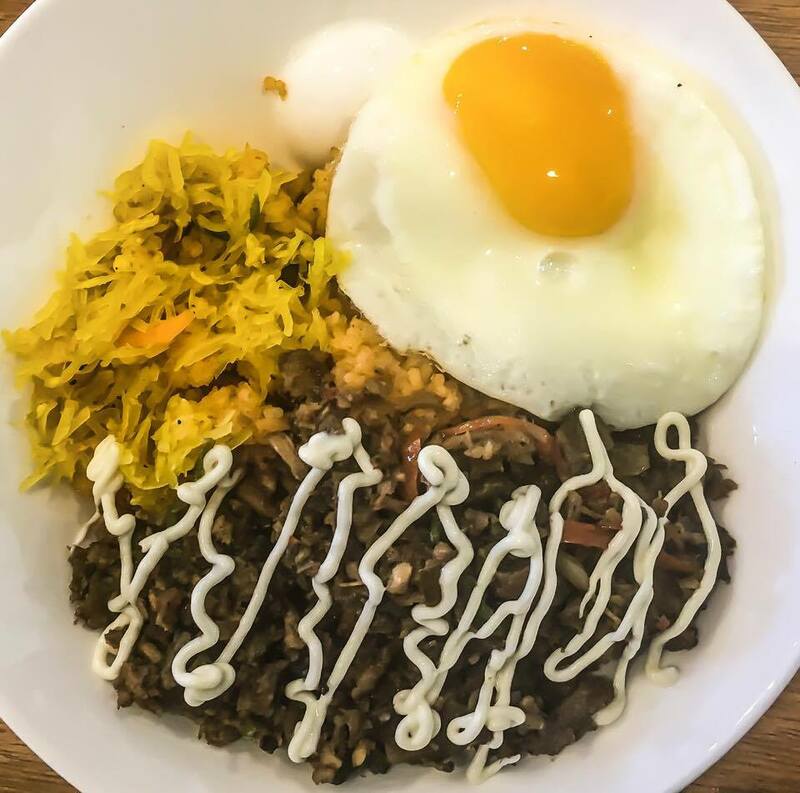 Sunrise Surprise Pork Sisig Aligue Sauce Rice Bowl is a total breakfast package! It consists of rice with Aligue Sauce topped with sunny side up egg, atchara and pork sisig drizzled with mayonnaise. The Aligue Sauce in the rice is not that salty and it does not overpower the taste of pork sisig. The Sisig, on the other hand, has the authentic Kapampangan sisig taste but with a twist because of the added ingredient in the latter. Ube Macapuno Waffle is composed of a fluffy waffle topped with ube ice cream, ube, macapuno and drizzled with maple syrup. 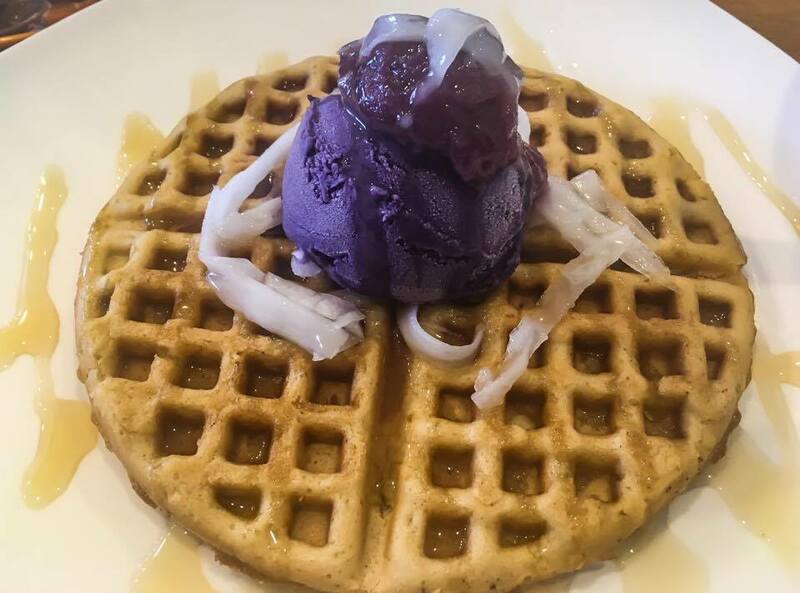 What I love about the Ube Macapuno Waffle is it is not that sweet even if it has maple syrup and ice cream and the waffle is fluffy and tasty. The ube and macapuno also compliment well with the waffle. Bacon, peanut butter and pancake, this three composed the Sunrise Surprise I'm a Sinner. The saltiness of bacon surprisingly blends well with the peanut butter. The pancakes are fluffy and the whole dish is very delicious! At first, we thought that this is just an ordinary combination of Peanut Butter and Nutella drink but lo and behold! 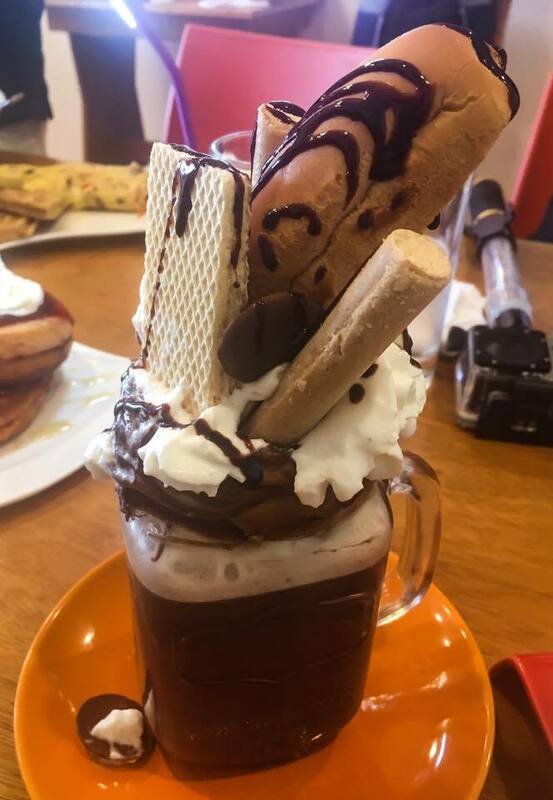 This drink is composed of hot choco with Nutella and peanut butter on the mouth of the glass jar and topped with whipped cream, wafer, barquillos de polvoron and broas. I love the combination of Nutella, peanut butter and the pastries on the drink. 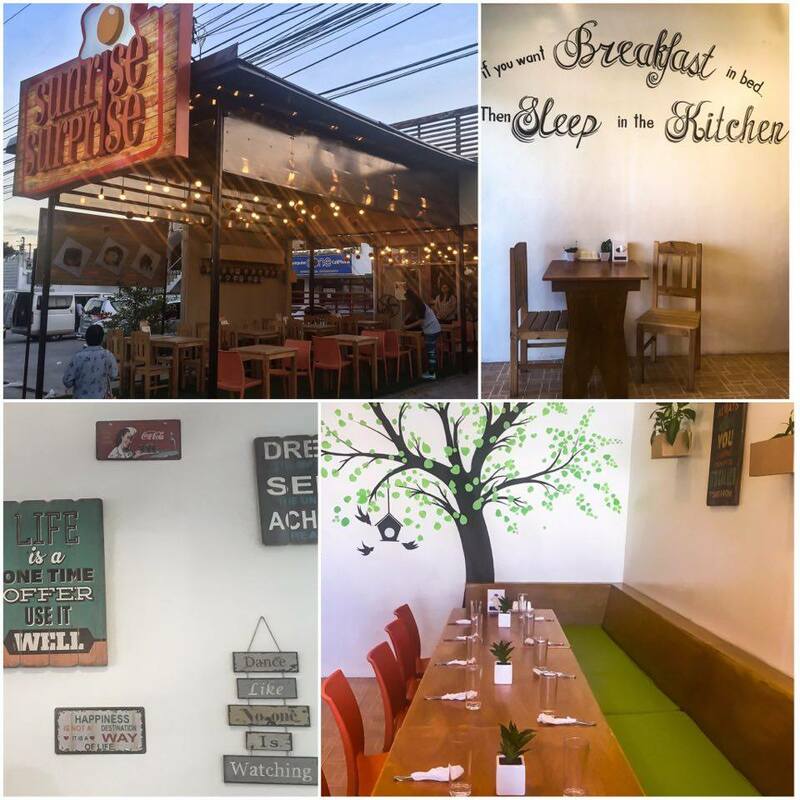 Sunrise Surprise, the only all day breakfast restaurant in Angeles, Pampanga is indeed a heaven for all breakfast lovers. The ambiance will let you reminisce your perfect morning while the dishes are delectable, have generous servings and affordable considering the serving that they provide. The restaurant is accessible and has a parking space for those who have cars. If you are planning a trip in Central or North Luzon, Sunrise Surprise is a great stop over.